Authorities say Chicago teenager, 15-year-old Steve Rosenthal killed himself after being chased by police, but his family thinks the officers shot him and they’re calling for an independent investigation. The Chicago Tribune reports that police say Rosenthal fled Friday when officers who allegedly saw him holding a handgun tried to question him. Police say that officers tried to question the teen after seeing him with the weapon just before 7 p.m. on Friday. The teen ran, officers gave chase, and a short time later, Rosenthal had sustained a fatal gunshot wound to the head, the Chicago Tribune reports. The medical examiner’s office ruled the death a suicide. Police say that he fatally shot himself on the back stairwell of his West Side home. Police say ballistics and camera evidence shows that officers did not fire their weapons. 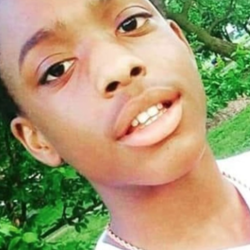 However, according to Chicago Police spokesperson Anthony Guglielmi, no footage was found that depicted the moment that Rosenthal was shot, and he noted it is not certain if state law would allow the public release of the footage, due to the way the teen died, the Chicago Sun-Times reports. The teen’s family says based on witness accounts they believe the officers shot him. The family’s attorney, Andrew Stroth, said Sunday that the officers killed Rosenthal “without cause or provocation” within moments of rushing up the stairwell. He says the family demands a “full, independent and transparent” investigation. On Sunday August 19, 2018, more than 120 people protested the death of Rosenthal.